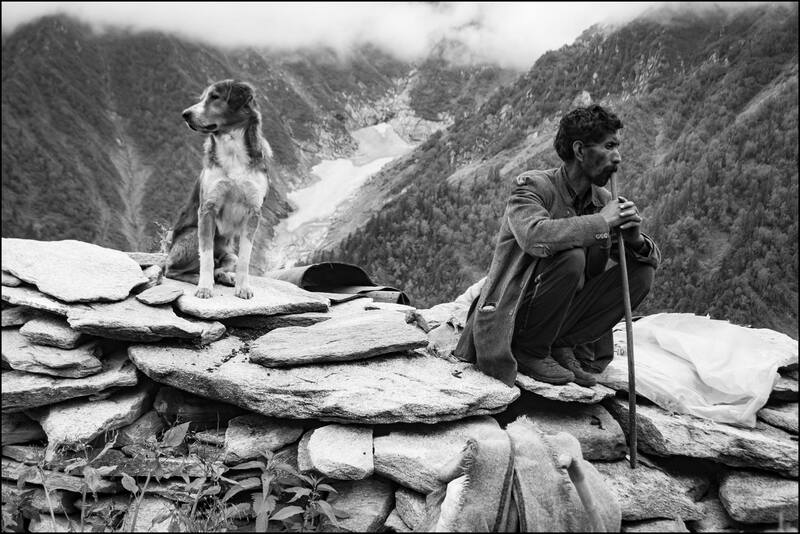 The Gaddi dog is a quintessential part of Himalayan pastures, a canine of the mastiff strain trotting along the journeys of the gaddis, one of the last few remaining nomadic tribes deriving sustenance off these frigid lands. The canines in the outdoors are completely in contrast to their meek counterparts domesticated into our modern day lifestyles. The gaddi dog is self-reliant, its demands of companionship restricted to a proximity that can be completely dispassionate. It trots along its job with a swagger, individuality and pride much akin to Jack London’s protagonists, keeping the flocks in an invisible hem, while the nights are spent guarding its world against predatory forces. And the gaddis do actually rely on their dogs, for you do not trust your flock of more than a hundred ungulates to any street mongrel, nor would you try to sleep like a log without a reliable alarm against those zillion exigencies the natural world may conjure up in a jiffy. Looking at these creatures, one does feel a pang of guilt for all the highbred and curs hanging on to their humans for morsels – for affection or food, when they could thrive in an environment devoid of claustrophobia disguised as safety. In one species’ quest to substitute biophilia, another one stagnates.